The principle of summoning a synod or council of ecclesiastical persons to discuss some grave question affecting the Church goes back, of course, to the very beginning of her history. 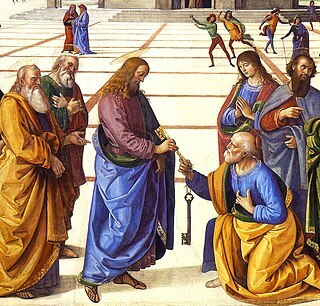 Since the day when the Apostles met at Jerusalem to settle whether Gentile converts were to keep the Old Law (Acts 15:6–29), it had been the custom to call together such gatherings as occasion required. 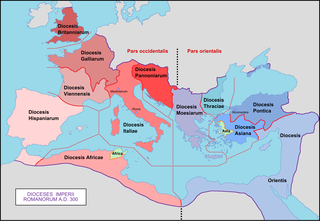 Bishops summoned synods of their clergy, metropolitans and patriarchs summoned their suffragans, and then since 325 there was a succession of those greatest synods, representing the whole Catholic world, that are known as general councils. The Most Holy Synod or Most Holy Governing Synod (Святейший Правительствующий Синод) was a congregation of Orthodox church leaders in Russia. It was established by Peter the Great, Stefan Yavorsky and Feofan Prokopovich in January 1721 to replace the Patriarchate of Moscow. It was abolished following the February Revolution of 1917 and replaced with a restored patriarchate under Tikhon of Moscow. In modern Russia the Holy Synod of the Russian Orthodox Church is the highest governing body of the Russian Orthodox Church between Sobors. It is headed by the Patriarch of Moscow and all the Rus'. 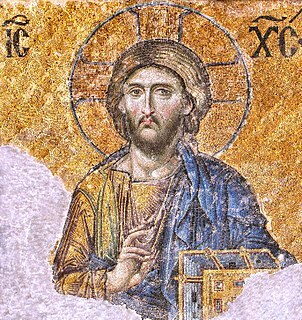 The first other Orthodox Church to imitate the Russian Government by synod was that of Greece. The national assemblies of free Greece in 1822 and 1827 began the process of making their Church independent of the Ecumenical Patriarch of Constantinople. In 1833 the Greek Parliament formally rejected the patriarch's authority and set up a Holy Directing Synod in exact imitation of Russia. After much dispute the patriarch gave in and acknowledged the Greek synod, in 1850. Since then, the Church of Greece has been governed by a Holy Synod exactly as was the Church of Russia. A law in 1852 regulated its rights and duties. It met at Athens under the presidency of the Metropolitan of Athens. Four other bishops were appointed by the Government as members for a year by vote. The members took an oath of fidelity to the king and government. Their deliberations were controlled by a royal commissioner, who was a layman chosen by government, just as the Russian oberprocuror. No act was valid without the commissioner's assent. There were also secretaries, writers, and a servant all appointed by the State. The Holy Synod was the highest authority in the Greek Church and had the same rights and duties as its Russian model, and was named in the liturgy instead of a patriarch. After the proclamation of the Greek Republic in 1924, royal control of the Holy Synod naturally ceased, and with the elevation of the Metropolitan of Athens to an Archbishophric in 1932, the Archbishop began to be named in liturgies. Today, supreme authority is vested in the synod of all the diocesan bishops, who all have metropolitical status (the Hierarchy of the Church of Greece) under the presidency of the Archbishop of Athens and all Greece. This synod deals with general church questions. The Standing Synod is under the same presidency, and consists of the Primate and 12 bishops, each serving for one term on a rotating basis and deals with details of administration. The Holy Synod of the Romanian Orthodox Church is organized as the highest authority on all matters concerning the church. It comprises the Patriarch, all metropolitans, archbishops, bishops and vicar bishops of the church. The Holy Synod usually meets two times a year, in spring and autumn in ordinary sessions but extraordinary sessions are organized whenever necessary. Whilst is the supreme authority on all matters of the church, it is a deliberative authority, as all of its members are the leaders of the entire church, directly representing all of the believers of the RoOC. The Serbian Orthodox Church is governed by a five-member Holy Synod. The patriarch is a permanent member, while the other four are bishops elected for two-year terms by the "holy assembly of bishops", a body that represents all the metropolitans and other bishops of the church. The Holy Synod of the Coptic Orthodox Church of Alexandria is the highest authority in the Church of Alexandria and it formulates the rules and regulations regarding matters of church's organization, faith, service's order. The Synod is chaired by the Pope of Alexandria and the members are the Church's Metropolitans, Bishops, Chorbishops and the Patriarchal Vicar for Alexandria. The Code of Canons of the Eastern Churches distinguishes between a patriarchal church's standing synod and a synod of its bishops. The standing synod consists of the patriarch and four bishops appointed for a five-year term. Of these four, three are elected by the patriarchal church's synod of bishops and one is appointed by the patriarch, while another four are designated in the same way to replace any member who is impeded. A synod of all the church's ordained bishops is called when a decision is required on a question that only it is authorized to decide, or when the patriarch, with the agreement of the standing synod, judges it to be necessary, or when at least one third of the bishops request that it be held to consider some specific matter. In addition, the canon law of some patriarchal churches requires that it be convoked at predetermined intervals. Similar rules govern Eastern Catholic Churches headed not by a patriarch but by a major archbishop. ^ "Holy Synod". Catholic Encyclopedia. This article incorporates text from a publication now in the public domain: Herbermann, Charles, ed. (1913). "Holy Synod" . Catholic Encyclopedia. New York: Robert Appleton. 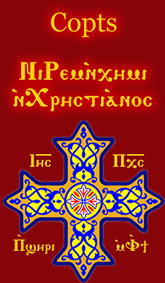 This article incorporates text from Holy Synod at OrthodoxWiki which is licensed under the CC-BY-SA and GFDL. The Patriarch of Alexandria is the archbishop of Alexandria, Egypt. Historically, this office has included the designation "pope". In the Eastern Catholic Churches, major archbishop is a title for the chief hierarch of an autonomous particular Church that has not been "endowed with the patriarchal title". Major archbishops generally have the same rights, privileges, and jurisdiction as Eastern Catholic patriarchs, except where expressly provided otherwise, and rank immediately after them in precedence of honor. The Pan-Orthodox Council officially referred to as the Holy and Great Council of the Orthodox Church, was a synod of set representative bishops of the universally recognised autocephalous local churches of Eastern Orthodox Christianity held in Kolymvari, Crete. The Council sat from 19 to 26 June 2016.